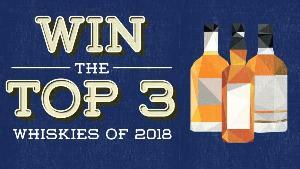 Prize: The prize consists of one (1) bottle of each of the top three (3) whiskies from Whisky Advocate’s Top 20 of 2018. Statistics: This contest was opened by 36 and entered by 6 ContestChest.com members. 17% of those who opened the contest, entered it.